For tutoring in Auburn CA that will help you become the best student you can be, turn to The Tutoring Center, Auburn CA. Call (530) 878-5010 to request more information on their academic programs, or to schedule a free diagnostic assessment. This first tip is a crucial one; after all, it's likely you won't be able to keep your planner properly organized if it doesn't have the right characteristics to fit your needs and preferences. To that end, it is important that you choose one that has the dates, that has enough space for you to write down all of your daily activities, and that is portable, so you can carry it around. Plus, it's also a good idea that you find a planner that has a design you enjoy, so it can make you more motivated to use it and update it on a daily basis. The key to having an organized and reliable planner is being able to update it effectively. However, in order to do that, you need to have your planner within arm's reach (or else, how do you plan to update it?). That's why you should try to have it with you at all times. For that reason, the previous tip recommended that you opt for a planner that's easy to carry around, so you can stick in your backpack, and take it out whenever you need to write something down that you need to be reminded of later on. Your planner can be very pretty, but it won't help you become a better student simply by that fact. You should actually use it to guarantee it will fulfill its purpose successfully. Now, every time you have an assignment, a project, a social event, or other similar information that you want to remember, write it down in your planner. To be able to manage your time more effectively, you should create a schedule in which you set a time frame to complete each of your daily activities. Just be sure to stick to that schedule, so you can stay on track. If you need assistance, time, and attention to achieve your academic goals, enroll in one-to-one tutoring in Auburn CA. Call The Tutoring Center, Auburn CA at (530) 878-5010 to learn more about the benefits of enrolling in tutoring classes. There are some other tools you can make use of to help you stay organized with your planner. For example, you can use sticky notes to add more information about one of your activities, or highlighters to make some important information in your planner stand-out from the rest. Another thing you can do is write down your duties with colored pens and assign a color to each type of activity (for example, use a purple pen to note down your social events). This will help you be aware of what you need to get done in a day at a glance. You can write in your planner all that you want. However, that on its own won't help you become the student that you're trying to be. 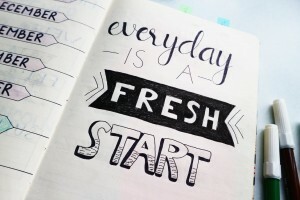 To actually be reminded of your duties, you need to open up your planner, jump to the right page, and check what your agenda is like for the day. You should go through it even when you think you have nothing to do that day, to help you build a habit. Moreover, you should check it during your mornings (to see what you have to do) and during the night (to guarantee you completed everything in it). Lastly, you need to keep your planner properly updated. As mentioned a few times over, you need to actually use your planner for it to be an effective time management tool. This means that you have to cross off any of the tasks you've already completed. Likewise, you have to write down or update new information on any of your duties as it arises. This way, you will be able to trust your planner more. Call The Tutoring Center, Auburn CA at (530) 878-5010 to receive the guidance you require to learn effectively and improve your grades.